Driving a Mini is addictive. Which is why drivers who test drive are more likely to buy one. So to get prospective customers to test drive, Mini decided to help drivers that were stranded by their own cars. 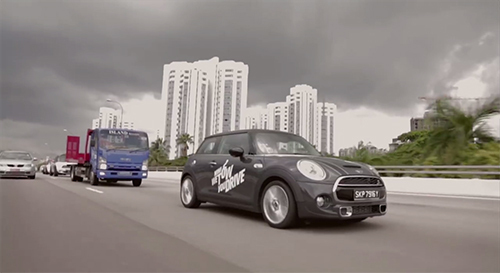 Mini partnered with a tow service company and responded to break down calls in real time throughout Singapore. The campaign not only took the test drive out of the showroom and onto the streets, it really made the drivers’ day by unexpectedly turning an annoying situation into a pleasant surprise. Click here to view the case video. 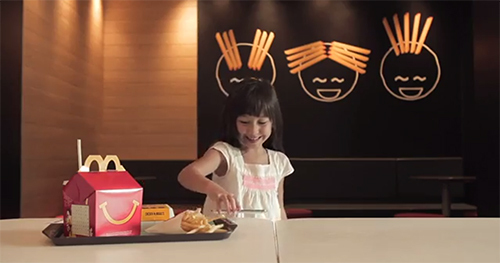 The Happy Table experience has been created by the DDB Group and is currently being run as a pilot at select outlets across Singapore. For the opening of their biggest showroom in South-East Asia, Audi created AR experiences that allowed visitors to fly around the showroom building without actually boarding a plane or drive the Audi R18 race car around Singapore at full speed without the risk of getting a ticket. Whats more, they even allowed visitors to personalize their individual license plates and then take photos with the car. A real Dakar desert racecourse was built for the new Opel Mokka on a 4mtrs long table that was placed in a shopping mall. Visitors could use the provided iPad’s to race against time and each other. The results were then shared on Facebook and the weekly and overall winners received various prizes. Deutsche Telekom for their Christmas promotion developed an iPad app where visitors could throw virtual Christmas ornaments containing their personal message onto a huge Christmas tree erected in a mall. A successful hit to one of the real ornaments on the tree, lighted it up through an integrated server application. 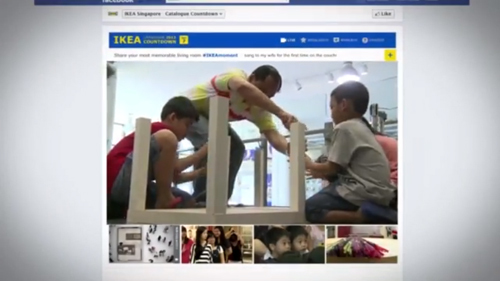 In July this year I had written about how Ikea had re-imagined their 2013 catalog with visual recognition technology that brought its pages and offerings within to life.